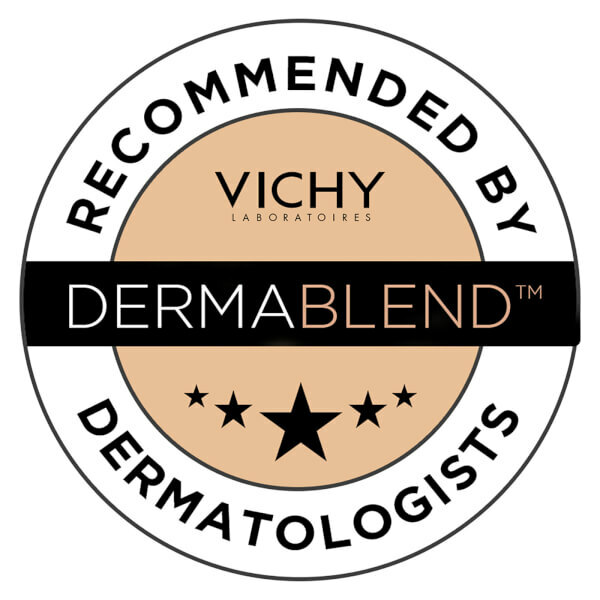 Achieve natural, flawless perfection with Vichy Dermablend Fluid Corrective Foundation, a long-lasting, high coverage liquid foundation with 'barely there' finish, developed to help camouflage minor to moderate skin concerns including acne, rosacea and scarring. 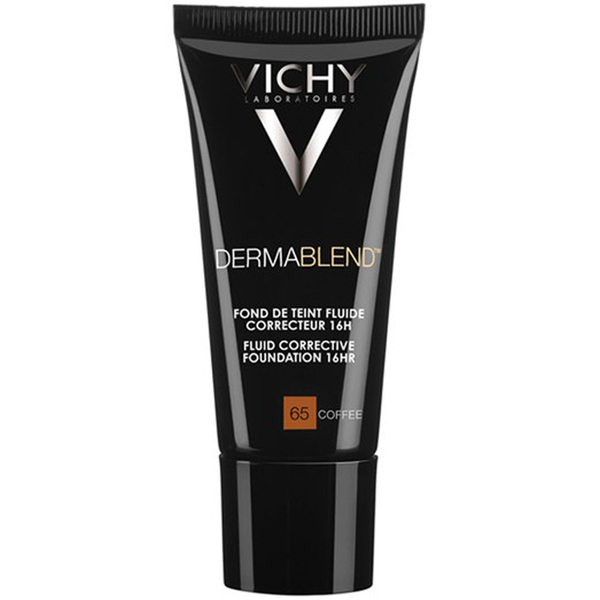 With a lightweight fluid texture, the liquid effortlessly melts into the skin, blurring away imperfections to conceal uneven skin tone, dark circles and redness. Effortlessly blendable, the makeup delivers buildable full coverage without looking 'cakey' or feeling like a mask. Up to 16 hours flawless, natural-looking wear Ideal for both men and women and fortified with SPF35. Hypoallergenic. Non-comedogenic. 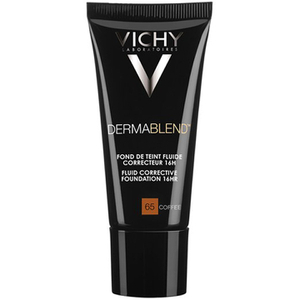 Paraben free and enriched with Vichy Thermal Spa Water. Apply a small amount of corrective foundation with your fingertips or a brush. Work the foundation with a brush or your fingertips gently from the centre of the face outwards. To conceal more visible skin concerns, dab the foundation onto the area concerned then spread out lightly. Blend downwards towards the neck, and then out to the ears and up to the hairline. Repeat application until desired coverage is achieved. Extend wearability with Dermablend Setting Powder. Aqua, Undecane, Dimethicone, Glycerin, Tridecane, Polyglyceryl-4 Isostearate, Pentylene Glycol, Cetyl Peg/Ppg-10/1 Dimethicone, Hexyl Laurate, Magnesium Sulfate, Disteardimonium Hectorite, Cellulose Gum, Aluminum Hydroxide, Disodium Stearoyl Glutamate, Tristearin, Acetylated Glycol Stearate, Acrylates Copolymer, Ethylhexylglycerin, CI 77891, CI 77492, CI 77491, CI 77499.